Joseph Buechel It's hard to pick an individual movement/ track for this. The great thing about this album is that it is a whole. It's an album that you can put on a greatest hits CD. If you like this album, you don't have a favorite track. Favorite track: Prelude on the Esplanade. Andy Bray Excellent score for a great film. Even without the moving images this music evokes a picture of the bustling BQE. 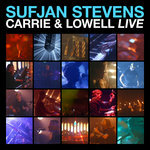 Favorite track: Movement III—Linear Tableau with Intersecting Surprise. lokky I feel like I should probably look up the meaning behind the title, "Sleeping Invader". Favorite track: Movement II—Sleeping Invader. 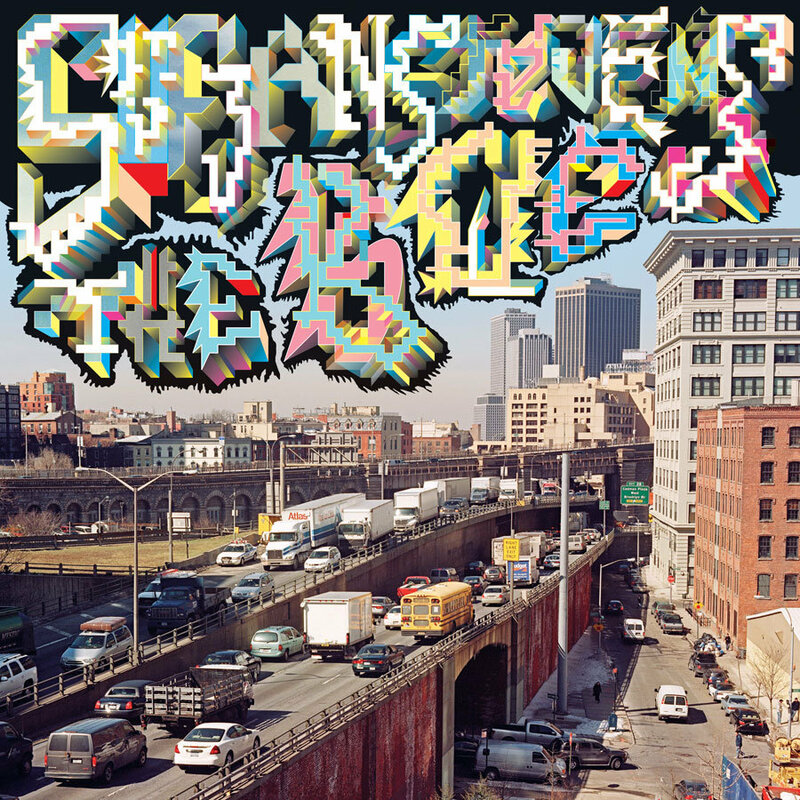 Sufjan Stevens is proud to present The BQE, a cinematic suite inspired by the Brooklyn-Queens Expressway and the Hula-Hoop. Commissioned by Brooklyn Academy of Music (BAM), The BQE was originally performed in the Howard Gilman Opera House in celebration of the 25th anniversary Next Wave Festival in October of 2007. The Brooklyn-Queens Expressway is an incidental 12.7 miles of urban roadway built over the course of several decades (1939-1964), spear-headed by the master architect Robert Moses to accommodate for the increase of commercial and commuter traffic in New York City's outer boroughs. The roadway was a painstaking piecemeal project, poorly planned, badly built, and relentlessly encumbered by the obvious obstacles of the era: red tape, neighborhood protests, World War II, and a congested borough whose sequestering layout proved ill-fitting for the automobile. The resulting expressway-a pockmarked, serpentine, congested BQE-has become one of Brooklyn's most notable icons of urban blight. 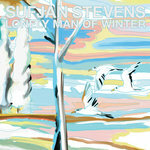 And, for Sufjan Stevens, an object of unmitigated inspiration. The official album release of The BQE follows nearly two years after its original performance at BAM, providing the songwriter (and his various collaborators) ample time to wrestle out all the thematic incarnations of the project, and to attempt an appropriation of Wagner's Gesamtkunstwerk ("total work"). 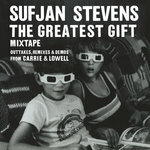 The resulting album might be best described as a grand creative franchise-incorporating movie, symphony, comic book, dissertation, photography, graphic design, and a 3-D Viewmaster® reel-in which a songwriter's interrogation of one of New York's ugliest landmarks expands athletically to forums and formulas outside of the song itself. In fact, the BQE is everything but a song. First and foremost, The BQE is a self-made home-movie documentation, exhibiting how all the architectural colors of Brooklyn and Queens are fabulously intersected by this ramshackle artery of highway traffic. Shot renegade style on do-it-yourself film cameras, the animated footage of grid-lock crisscrossing the brick and mortar of Brooklyn flickers and cascades Koyaanisqatsi-style on three simultaneous screens. The 16mm cinematography (heroically shot by Reuben Kleiner on a 1960s Bolex) utilizes time-lapse photography, in-camera editing, slow motion, and post-production mirror effects to transform urban blight into a splendor of graphic compositions. The BQE is also accompanied by an idiosyncratic musical soundtrack (composed by Stevens for band and chamber orchestra), evoking a romanticized musical choreography of perpetual motion vs. gridlock. Borrowing variously from Gershwin, Terry Riley, Charles Ives, and Autechre (to name a few), the music showcases skittish woodwinds wrestling out impressionist articulation (in 7/8) and imperial brass anthems evoking various incarnations of the music of the automobile. The BQE further extends its mythology by anthropomorphizing the expressway and its theoretical conceits into a 40-page comic book (cover by Matt Loux, masthead by Christian Acker), in which three extra-terrestrial superhero sisters (Botanica, Quantus, and Electress) use hula-hoops to combat the "the Messiah of Civic Projects," Captain Moses, and his totalitarian social architecture. The comic book, written by Stevens and gorgeously drawn, colored, and inked by longtime friend and collaborator Stephen Halker, visualizes in graphic form many of the political motifs of the movie and soundtrack: mid-century urban theory, modernism, post-modernism, hoop dynamics, and the spiritual practice of Subud. By incorporating an anachronistic graphic novel, the album utilizes artifacts from the Golden Age of the American highway (1930s-1960s). This also inspired the inclusion of a stereoscopic Viewmaster® reel. Seven 3-D images-also created by Stephen Halker-are meant to accompany the seven movements of The BQE. While an ostensibly gimmicky object of kitsch, the 3-D reel, upon closer inspection, becomes a fitting metaphor for the thematic premises posed by the BQE: its circular geometry mirrors the hula hoop, its numerology (seven divisions) runs parallel to the seven movements of the musical suite, and its historical circumstances shed light on the modernist themes of the album. Originally unveiled at the World's Fair of 1939 in Flushing, Queens, the Viewmaster promoted 3-D panoramic illusions of the American landscape (the Grand Canyon, the Redwoods, New York City, for instance), advertising various tourist destinations as a way to inspire American drivers to boldly go (via automobile and super highway) where no man has gone before. Incidentally, the first portion of the BQE included the Kosciusko Bridge, connecting the boroughs of Brooklyn and Queens over Newtown Creek as an efficient means of funneling tourist traffic to the World's Fair. From this reading, the BQE and the Viewmaster reel are odd accomplices in the modernist conspiracy to mobilize Americans nationwide. Many of these thematic abstractions are rendered as a meandering social treatise-via prose-poem psychobabble liner notes by Sufjan Stevens. In this case, the songwriter borrows from multiple theoretical sources to evoke how the vainglorious battle between the "Artist" and the "Object of Inspiration" ultimately leads to self-absorption, existential exhaustion, and morbid futility in the Finding The Right Metaphor. For Stevens, this metaphor (in its struggle to creatively render an object as irreducible as the BQE) expands into a multitude of forms and figures, like a shape-shifting chimera of infinite significance-resulting in an album that refuses to be just one thing. The BQE is available as a double-disc format (CD/DVD), which includes the original 16mm/8mm film (in widescreen "triptych" display), the original motion picture soundtrack, a 40-page booklet (with extensive liner notes and photographs), and the stereoscopic image reel (playable in all View-MasterÂ® viewers). The limited edition vinyl is available as a double gatefold and includes the soundtrack on 180-gram vinyl, a large-scale 32-page booklet with liner notes and photographs, and a black-and-white version of the 40-page Hooper Heroes comic book. A fully colored version of the comic book is available separately.